Tonight, instead of a total eclipse of the heart, there is a total eclipse of the moon. Here is the Maui moon in partial eclipse. Before it started to rain. Maui being Maui, I may hop in my car and drive a few miles away where there will possibly be no rain and more eclipse. 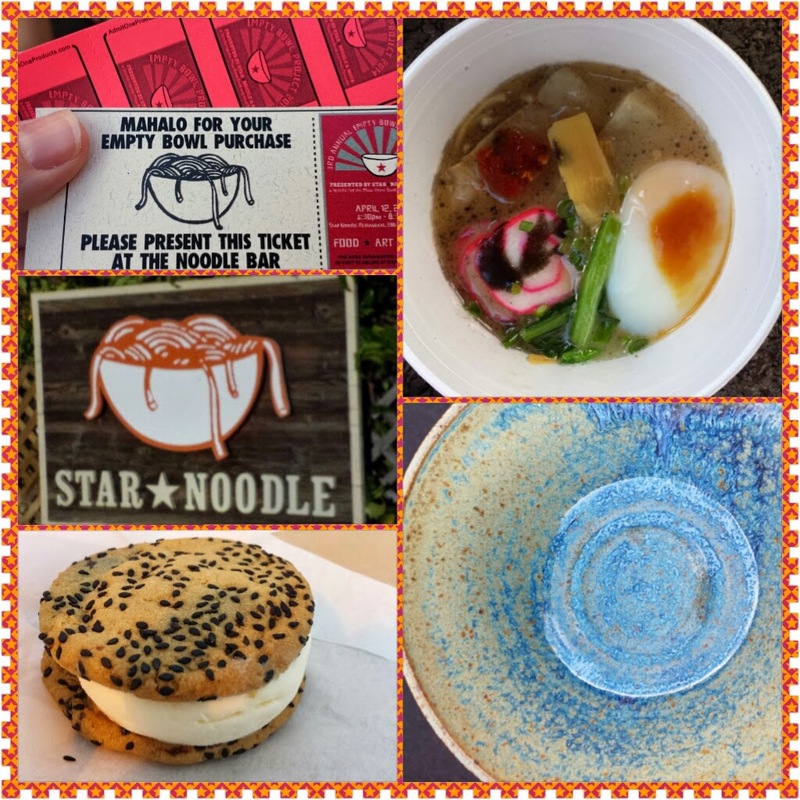 And so, before I get sidetracked by the moon (or lack thereof), I wanted to share with you the fun and good cause that was the Empty Bowl Project at Star Noodle on Saturday. I haven't been to Star Noodle yet for lunch or dinner - but now I've at least been in their parking lot. And had a bowl of colorful and savory ramen. Not the same as the 10/$1 college special ramen. Ramen with a poached egg. The Empty Bowl Project raises awareness and money for hunger in our community. You purchase a locally handmade bowl for $25 (check out that bowl in the bottom right of the picture - that baby is mine) with the proceeds going to the Maui Food Bank. And in return, you get a visit to the noodle bar. I might have also had some Thai basil lemonade and a chocolate chip and sesame seed ice cream sandwich. You know me and ice cream. BFFs for Life. I've walked, biked, ran, worn ugly sweaters and more for good causes. I'm glad to add noodles to the list.